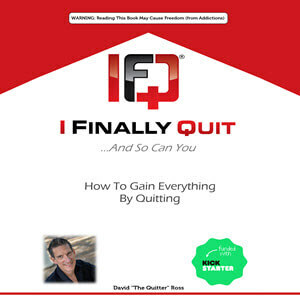 Below are links to access and/or download various assets for the book I Finally Quit …And So Can You: How to Gain Everything by Quitting. If you need something that is not listed below, please contact [email protected]. Book is available in print, audio (via audible and iTunes) and Kindle. 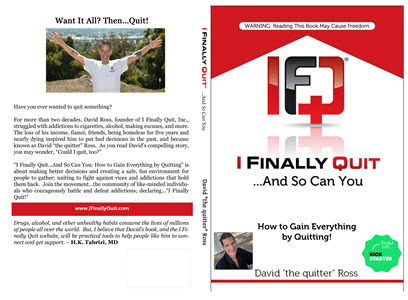 *Get yours personalized & signed by David “the quitter” Ross AND get free gifts with your purchase. *Free gift ships with your signed copy from our site. Plus, get BONUS quitting resources! David Ross is known as “The Quitter,” but it was not always this way. For twenty-five years, he struggled with an addiction to alcohol, and for twenty years, he struggled with another addiction to cigarettes. Near to death, he knew that he had to make a change. 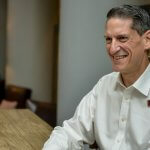 By 2006 he was homeless, outstaying his welcome with friends and family across the country, just barely scraping by, always looking for a place to live, and continuously looking for his next drink. He had crossed the threshold between issue and problem and landed firmly on the wrong side. At his lowest point, David was smoking two packs of cigarettes and drinking a fifth of bourbon (the equivalent of 4.5 bottles of wine) every single day. His habits had grown impossible to hide; ultimately preventing him from holding down a job and alienating the people to whom he had grown close. 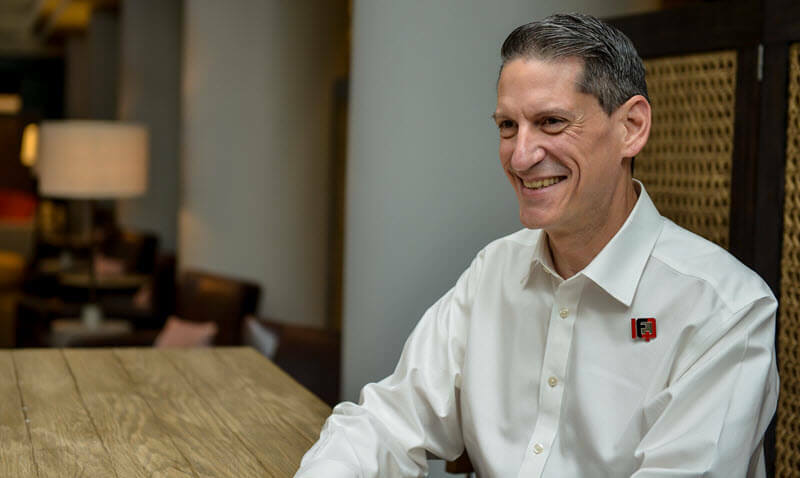 After landing in an Intensive Care Unit, David did quit and decided to create the global I Finally Quit movement in the process. 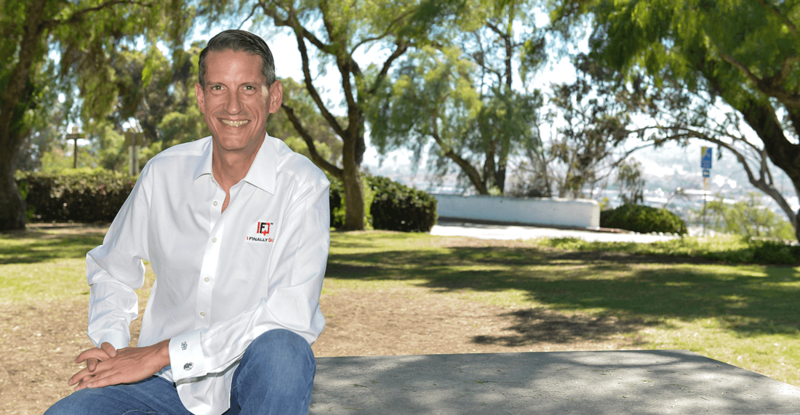 As the founder of I Finally Quit, David is encouraging people to exorcise their demons and live happy and be free of the chains of substance abuse. As someone who has been there himself, he knows what is holding you back. 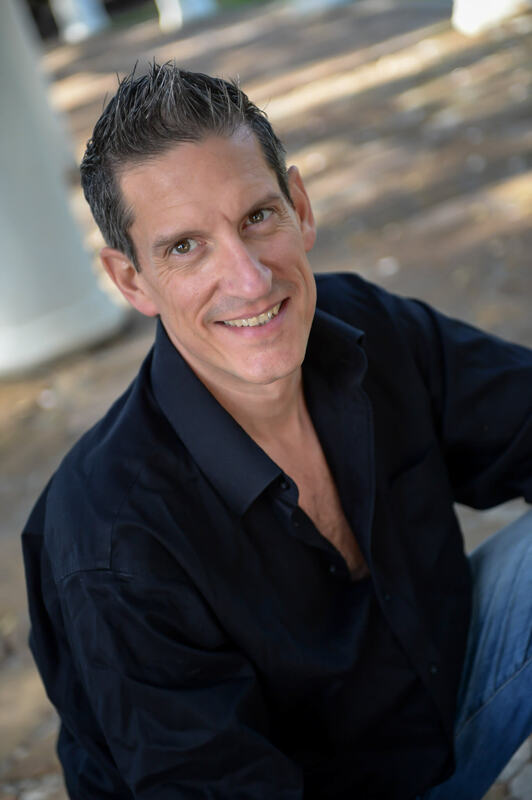 He knows what an alcohol-free, tobacco-free, drug-free life seems like when you are in the middle of a binge and how liberating a life free from demons can really be. 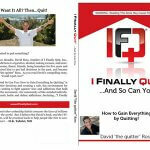 When David quit, he did so not in a void but by seeking out activities to replace his addictions. 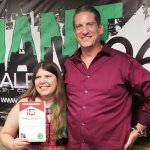 He taught himself web development, WordPress, HTML coding, and social media. 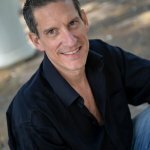 At the same time, he was developing his skills as a speaker and as a writer, eventually publishing his self-help book I Finally Quit…And So Can You: How to Gain Everything by Quitting, in which he takes a candid look at his own life choices and offers advice to people who may find themselves in situations similar to his. 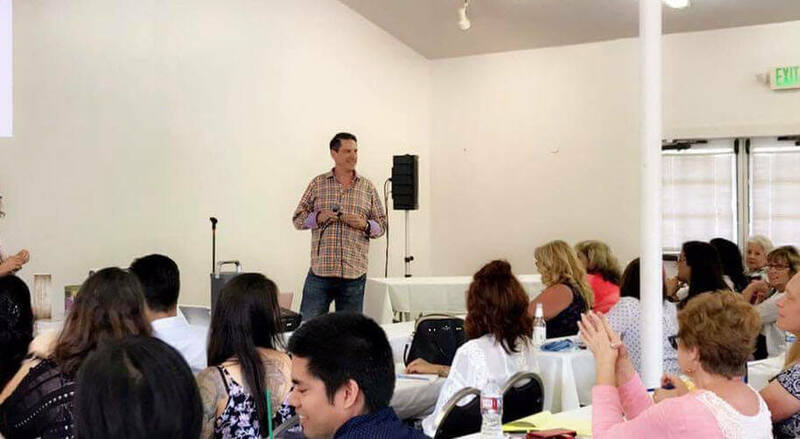 As a speaker, author, and coach, David is telling a story that is already resonating with thousands of people all around the world. 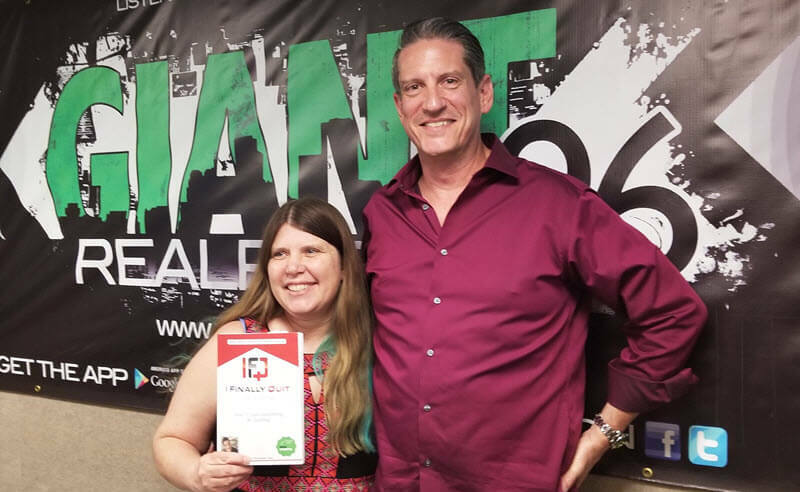 He is proud to help people and passionate about making a difference in the world, and making progress of his own all the time, he knows what it takes to make a commitment and then follow through. 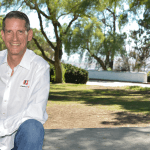 The impact of David’s work cannot be understated and all he had to do was … quit. You are welcome to use these photos of me. If you click on the image, it will pop-up a larger version. You can then click the “Download This Image” link to save the photo to your own computer. 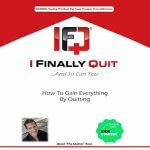 In the event you need the IFQ logo, you can find it here (with text) or here (without). You can download my bio talking points here and my speaking kit here. David “the quitter” Ross is always excited to share his journey and how the I Finally Quit movement is inspiring people to become … quitters. 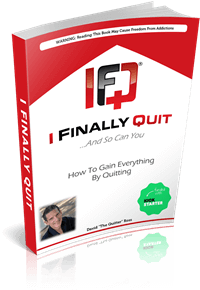 What is I Finally Quit (IFQ)? What is your vision for IFQ? Why do people need a social community of quitters in today’s world? Why do you say “quitting is hard and giving up is easy”? 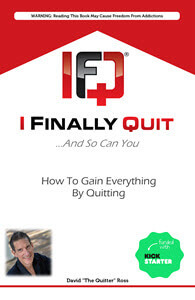 Why does a person who wants to quit need IFQ? How did you design and develop the IFQ logo? 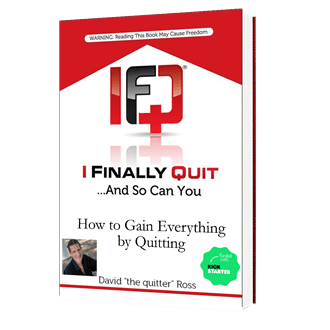 Tell us a little bit about your book I Finally Quit …And So Can You: How to Gain Everything by Quitting. Who is your intended audience and why should they read it? What mistakes did you make that others should avoid when building your platform? What do you say to those who claim to be too stressed to quit their “bad” habit(s)? What role has social media played in developing your platform? 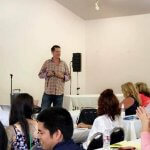 Your action plans do not focus on quit dates, but on the “5 W’s and the WTH moment”. Briefly, what are those? Why is identifying those more important than the actual cessation aides available on the market? How do you “Engage Your Tribe”?